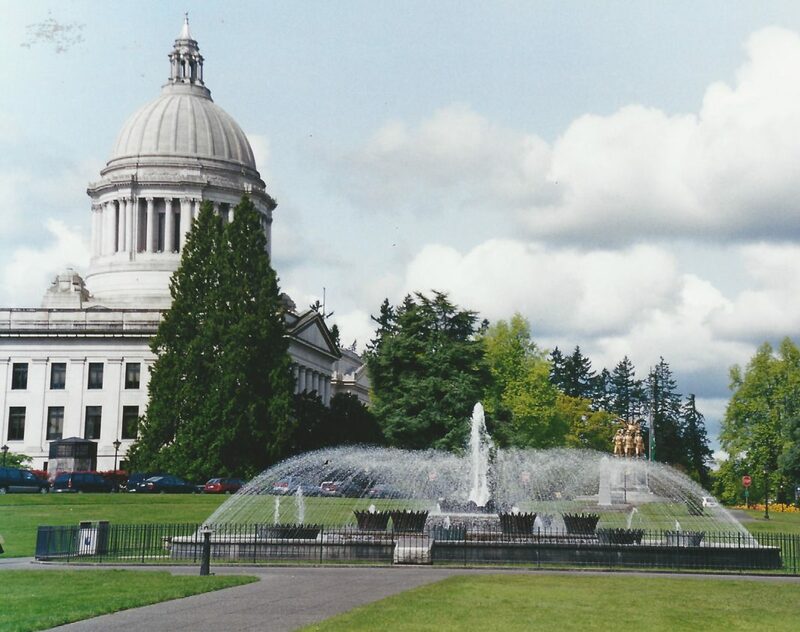 The Tivoli Fountain, pictured here in the early 2000s, is an outstanding feature of the State Capitol Campus. Photo credit:	Photo courtesy Olympia Tumwater Foundation. Regular curbside garbage and recycling collection will still be done in Thurston County on Monday, September 3. The county’s Waste and Recovery Center (WARC) in Lacey will also be open regular hours from 7:00 a.m. to 5:00 p.m.
Thurston County Sheriff Non-emergency Services: Residents of unincorporated Thurston County are urged to call the Sherriff’s Department non-emergency number at (360) 704-2740 for non-emergency issues like noise complaints. Intercity Transit: I.T. will operate Sunday-level service on Labor Day, Monday, September 3. Customer Service at the Olympia Transit Center will be open from 9 a.m. – 7 p.m. on the holiday. The I.T. administrative offices are closed on the holiday. For more information please visit www.intercitytransit.com or call (360) 786-1881.